Perfect place to stay, with a kind hearted and friendly team. Had a wonderful experience. Will genuinely recommend the place. had a lovely stay, the owner is a kind gentle man and very hospitable, would stay again, Ten out of ten. 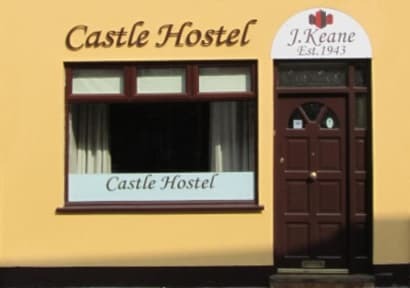 I had a great time in the Castle hostel in Tralee, the staff are so attentive and happy! Each bed have single light and plug on the wall together. Nice and very clean all around, nice and cozy ambiance. Good breakfast with some choices. I really recommend this place! Great little spot to stay, would definitely stay again. A small, cozy hostel. Very central location. Wasnt even close to full, so there was plenty of space, I dont know what happens if the hostel is actually full 😋 small breakfast included. Good room with an en suite and an area to make food. My only complaint was that the lady in reception when we arrived didn't know any local pubs where we could get food and watch the rugby match so we had to find one ourselves. When you have homeless people knocking on the door all the time, looking for a room to stay in, it’s not awesome. Even as a male, I was worried about my safety at times. Has a BnB vibe, which was a nice change from traditional hostels, but not really thrilled about the homeless always knocking.